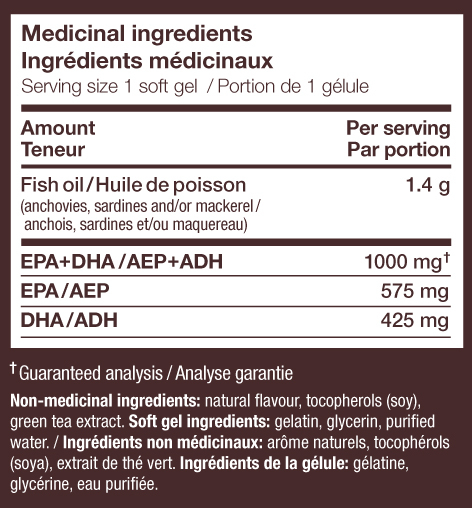 Pure, potent, and convenient omega-3 for your busy lifestyle; 575 mg of EPA + 425 mg DHA. 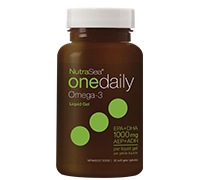 NutraSea is a great choice for an ultra-pure and balanced omega-3 supplement. With 1000 mg of EPA+DHA per serving, NutraSea One Daily promotes the maintenance of overall good health, cardiovascular health, and helps lower triglycerides. Adults and children 4 years and older take 1 soft gel daily.